Using less water than traditional sprinkler systems, the discharge of water at high pressure through special nozzles creates a fine mist that can act more efficiently than conventional systems for certain applications. With water droplet size of 1,000 microns (1mm) or less, the effectiveness of water mist is enhanced by the systems ability to extract heat from fires through evaporation. Reducing the water droplet size increases the surface area to volume ratio of the droplet. The conversion to vapour also displaces oxygen around the area of the fire effectively suffocating the fire. There are situations where a low or high pressure water mist system may be preferable to a conventional fire sprinkler system, particularly where adequate water supplies are a problem, or where the fine mist provides a safer, more effective method of protection than sprinklers. 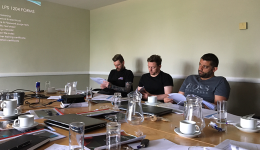 The space saving for the water supplies when compared with sprinklers can often be substantial and the associated water supply costs need to be considered when weighing up fire safety options. Selecting the right water mist system is also about caring for the contents of the building and minimising water damage. A Low Flow system utilises a compact pump skid unit, with system working pressures of 7 to 16 bar producing droplets of water through engineered discharge nozzles with a speedy effective pipework installation with press-to-fit jointing systems. High Pressure systems have working pressures of 70 to 200 bar and provide specialised protection to high risk industrial and commercial fire risks. 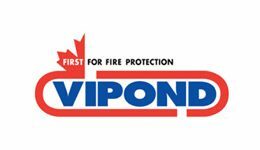 Vipond offers approved tailor made fire solutions for specific applications such as industrial fryer protection and machinery spaces.